I found an incredible book to read in the mornings for my quiet time and engaging in a study with my friend Gindi. It’s a book I highly recommend. I know I’ll be writing about it more in the future, but even though it’s bringing about changes in my life, reading it as my daily devotional lead me to a dry dessert. Nothing takes the place of the Word of God. When I read books, I feel like I’m sitting down with the author, having a cup of coffee. While having coffee with Lysa TerKeurst would put me over the moon with excitement, it doesn’t nourish my soul like having coffee with the King does. The first part of this realization came about when a woman who keeps me accountable asked “How is your time with God? Are you in the Word?” I didn’t want to say, “I’m totally bonding with Lysa – she’s got some good stuff to say!” I humbly admitted I’m not. I realized I’m stuck in a dry, dessert land. My feet have wandered this land for a few weeks (maybe even months). Don’t put something good in place of the BEST. It’s time to get back into the WORD. This morning after pouring a cup of coffee, I searched for my Bible. When I found it, a joy flooded my soul. A joy I’ve been thristy for. As I was flipping to a verse that I’ve leaned on this year, a little voice said, STOP HERE. Psalm 32. 32 Blessed is the one whose transgression is forgiven, whose sin is covered. 2 Blessed is the man against whom the Lord counts no iniquity, and in whose spirit there is no deceit. 3 For when I kept silent, my bones wasted away through my groaning all day long. 10 Many are the sorrows of the wicked, but steadfast love surrounds the one who trusts in the Lord. Wow. That hit me. Hard. Right between the eyes. No… Right in the heart. I’ve been silent. I will confess to the Lord! I will hide in Him. It is HIS counsel I will hear and heed. My eyes will be on Him. I will rejoice that I am having coffee with the King! My challenge to you: Have coffee with the King. 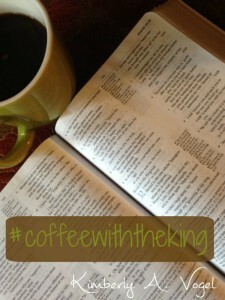 I contacted Savvy Homemaking and we talked about her #coffeewiththeking fun on Instagram. I am joining with her to post pics and encourage others. Take the challenge – Rejoice with me and let’s bombard Instagram with pics of #coffeewiththeking by posting pics of your morning coffee (or tea) and your open Bible with the hashtag (#coffeewiththeking) and a shoutout to @kimberlyavogel and @julieannfilter. Who’s in? Let’s not be silent! What a great reminder. This couldn’t have come at a more perfect time of year. Thank you! Thank you for stopping by! 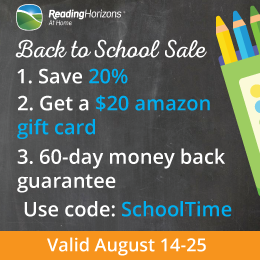 Yes – such a great time of year to have this reminder. What a great reminder. Even some of the deepest books about God, are no replacement for the Word. It’s just true. Thank you for sharing some wisdom this morning. I’m really enjoying some Godly books, but I need to focus on getting more time just between me and God, not necessarily just other thinkers. So true, isn’t it? It’s an easy trap to fall into. Take everything to the Word, even other godly thinkers. Time with just you and God – the best time! He will nourish your soul like no other. This was wonderful. I too have been guilty of reading a book about God instead of reading the Word of God. Thank you for the inspiration to get in gear and re-start my morning routine of coffee and Bible! The perfect time is now! I was going to wait until the New Year, but now can’t imagine making it through Christmas joyfully without this! Other books can wait, AFTER my Bible time. When I’m tempted to play on line before my coffee, I picture Jesus waiting on me patiently. Everything can wait. He is more important! Sadly, many times I do ask him to wait… but now that I’m doing #Coffeewiththeking my perspective has changed! Join us!!! You are so right– NOTHING takes the place of the Word of God. So often we get lost in our own idea of truth that’s warped by our muddied perspective. But what a difference when I begin my day in The Truth first. Then I’m able to use His Word as a filter for all that comes my way. That’s when I can live within His reality rather than waste time in what I’ve created for myself. Thanks for this post– such a great reminder. Amen and Amen! A filter – I love it! You are so, so vrey right! I am doing the She Reads Truth bible study for John the Gospel this month. I am failing and keeping on task with it. NOT because I do not love the bible study, but because I am not getting up and starting my day with it. I get side tracked and allow other things to take priority. You’re correct- don’t put something good in place of the BEST! I just found She Reads. They have a bible in a year app too! My goal in a few months is to add another devotional time to this daily reading. I love the extra studies and would love to have more time for more! But I don’t want to loose focus of my goal.